To Transform Your Life Right Now! Tired of being fearful and having your nose to the grindstone and your back to the wall just to make ends meet? Still experiencing that void inside that no amount of fame or fortune can fill? Disillusioned with all the so-called secret formulas for success highlighting visualization, positive thinking and the Law of Attraction? Wish there was a proven magic formula for achieving total prosperity in every facet of your life regardless of your circumstances? Award-winning singer-songwriter and bestselling author, Geela Parish has discovered the ultimate magic formula for success. It’s unlike any other and it can make your wishes come true! 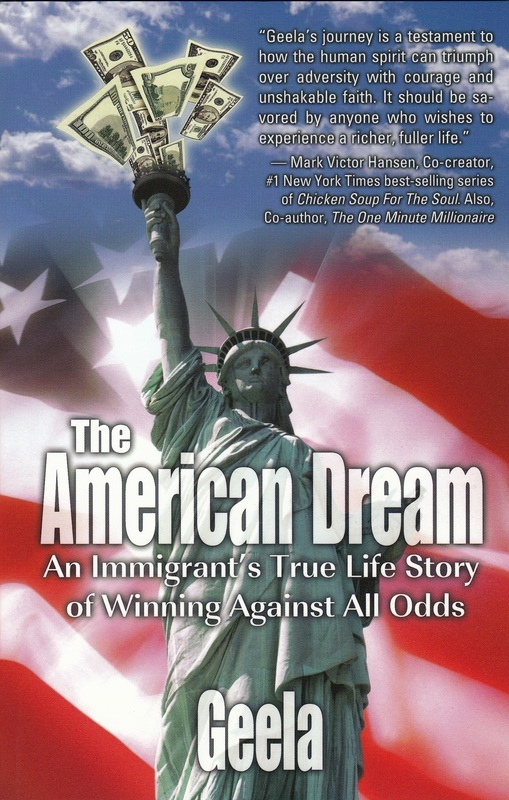 Geela offers her groundbreaking system for achieving any goal with real joy and fulfillment regardless of circumstances called The Principles of Successful Living™ which is included in her critically-acclaimed and bestselling book The American Dream. Ever wondered why all those so-called secret formulas for success and “having it all” still continue to elude so many people? Find out why it takes more than visualization, positive thinking and knowledge of the Law of Attraction to create the life that you really want. Discover the secret missing ingredients critical to achieving the life you were meant to live: total prosperity with meaning, purpose, real joy and fulfillment regardless of your circumstances. In a world of uncertainty and constant changes the only thing that’s not subject to change is the set of spiritual universal laws, which govern our lives and impact us all regardless of financial status, race, religion or ethnicity. The Principles of Successful Living™ is a groundbreaking, critically acclaimed and spiritually-based system for helping anyone regardless of their circumstance to achieve lasting total prosperity with the focus on experiencing a life of meaning, purpose, real joy and fulfillment. Geela is living proof of that. What makes this system so unique is the fact that it’s divinely inspired as a result of Geela’s near-death experience. The Principles of Successful Living™ redefines success in that it goes beyond the narrow definition of success limited to the pursuit of fame and fortune as the only goals worth pursuing. 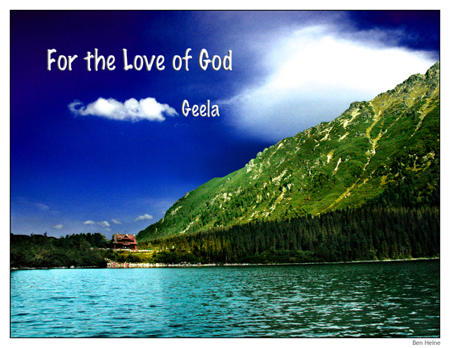 It’s designed to help anyone regardless of their circumstances to master what Geela refers to the Art of the Possible and create a prosperity consciousness, so they can turn challenges into opportunities and experience total prosperity in every facet of their life with the focus on experiencing a life of meaning, purpose, real joy and fulfillment. By now just about everyone has heard of the transformative power of the sacred universal laws. Yet, the so-called secret formulas for success with the promise for “having it all” still continue to elude so many people. What’s not widely known is why it would take more than just visualization, positive thinking and knowledge of the Law of Attraction to manifest desires. In a nutshell, that’s because of a missing ingredient critical to achieving the life you were meant to live with true and lasting total prosperity. 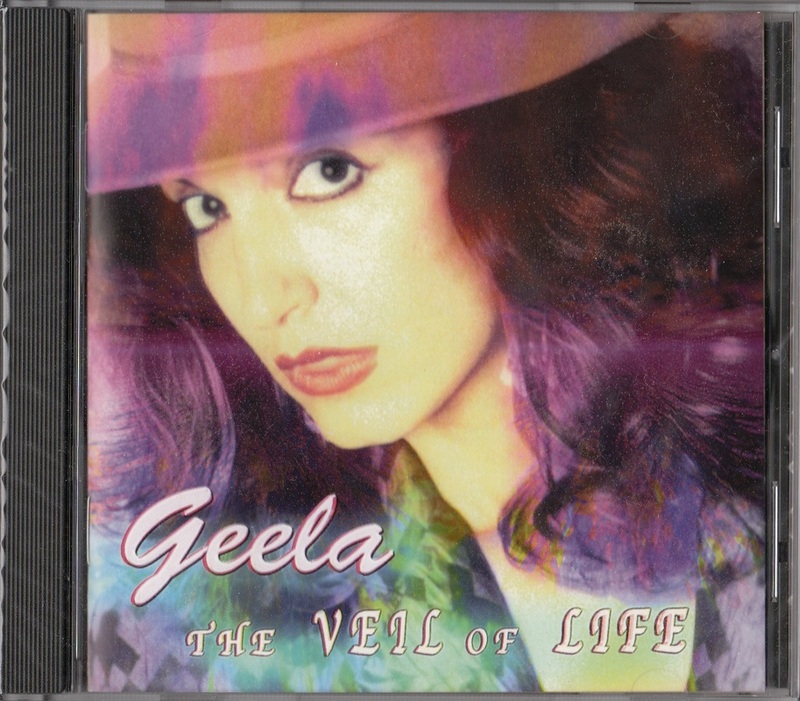 Geela’s Principles of Successful Living™ is based on the premise that in order to live life to its fullest and fulfill one’s purpose, it’s important to recognize the spirituality factor. It’s the understanding of how true and lasting total prosperity is directly tied to one’s spiritual roots and God, the unlimited source of everything. That’s because the sacred universal laws which are the natural spiritual laws that govern our lives, are essentially expressions of God and as such, they are characterized by integrity, respect for the sanctity of life and charity/giving. This is why it’s important to know how to CORRECTLY apply these powerful spiritual universal laws beyond visualization, positive thinking and knowledge of the Law of Attraction. This is very important because violation of any of these will prevent desires from being manifested. Geela’s Principles of Successful Living™ is also based on the premise that we are spiritual beings experiencing the human experience and not the other way around. As such we were meant to live a life of total and lasting prosperity with real joy and fulfillment. However, certain conditions must be fulfilled first. Sadly, the misconception about the power of external riches (fame, fortune and influence) to give us internal riches (meaning, purpose, real joy and fulfillment) that often results in making poor choices that don’t serve our highest good. It’s only when we recognize our spiritual essence and God as the source of everything, that we’re able to truly live life to its fullest with abundance beyond our imagination. And this is by far the best-kept secret! HOW IS The Principles of Successful Living™ DIFFERENT FROM OTHER SO-CALLED FORMULAS FOR SUCCESS? Geela's Principles of Successful Living™ identifies the missing key ingredients critical for manifesting desires that are not found anywhere else. Geela's Principles of Successful Living™ provides an alternative to conventional how-to guides, which focus on achieving material success and promoting selfishness by offering what she calls Success Redefined. It goes beyond the narrow definition of success which is limited to the pursuit of fame and fortune as the only goals worth pursuing with the emphasis on experiencing a life of meaning, purpose, real joy and fulfillment. Geela’s Principles of Successful Living™ is not ‘a quick fix,’ or ‘a guide to wealth creation through positive thinking and/or visualization. The system was designed for helping anyone regardless of their circumstances to improve the quality of their lives by mastering what Geela calls the Art of The Possible by turning challenges into opportunities through the understanding of the CORRECT application of the sacred spiritual universal laws. It explains the process of manifesting desires, which is based on key scared universal laws (natural laws that govern our lives). It introduces the Spirituality Factor, which is essential for the CORRECT application of the sacred universal laws that govern our lives while helping to develop prosperity consciousness. The system is based on the premise that we are spiritual beings experiencing the human experience and not the other way around. And as such, we have the capacity to co-create and manifest and therefore we must connect with our spiritual roots, which also enable us to experience real joy. It helps to facilitate a profound direct connection with God, the ultimate creator of the sacred universal laws and unlimited abundance. It strives to help people makes the right choices that support their highest good and fulfill their own purpose by (a) understanding the nature of sacred universal laws (natural spiritual laws that govern our lives) that are not subject to change, and the need to live in harmony with these spiritual laws because they are an expressions of God and characterized by integrity, respect for sanctity of life and giving/charity, and (b) helps readers gain the understanding that more is not necessarily better and about the misconception about the power of external riches of fame and fortune and power to give us internal riches of meaning, purpose, real joy and fulfillment. It serves as an effective spiritual solution to growing societal problems. It helps to inspire integrity, giving/charity and the honoring of all living things including the environment, all of which help create a better world for all. CORRECTLY apply the amazing power of sacred universal laws to create the life you really want beyond the hype. Master the Art of The Possible so you can turn challenges into opportunities. Identify and apply the one missing ingredient critical to creating total prosperity with meaning, purpose, real joy and fulfillment. Become a magnet of total prosperity. Live an inspired life no matter what life throws your way: joyful living with inner peace free of any fear including fear of death. Supercharge your life by making it an adventure in living rather than a problem to be solved. Discover your purpose and live life to its fullest without selling your soul. Go from making a living to making a difference. Geela’s Principles of Successful Living™ is the only magic formula for success you’ll ever need! So, don’t delay, order your copy NOW! Be sure to post a review on Geela's pages on Amazon.com, CDBaby.com and iTunes.com. Connect with Geela and stay informed on the latest news and happenings in her life. Make sure to follow Geela Parish on Twitter and like her on Facebook.